GET 10% to 20% DISCOUNT BY CALLING AN AGENT NOW! 1-800-677-1196 GET 10% to 20% DISCOUNT BY CALLING AN AGENT NOW! Get affordable rates for transporting RV and Fifth Wheel hauling from a Five Star RV Shipping Company! As a trusted, professional name in transporting RV, we are DOT compliance and a legal hauler for all types of RV trailers. Your RV is insured up to $100,000 and additional insurance can be purchased. 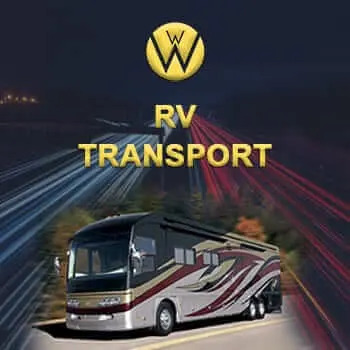 We Will Transports It an RV Transport Company has a wealth of experience in transporting RVs of all kinds and pull many different hitch types, such as a fifth wheel, goose necks, Pinter hooks, and various ball hitches. We can transport units up to 8’6″ wide, 13’6” high and 43’ length. Larger units will require permits and these costs will be figured into your quote. 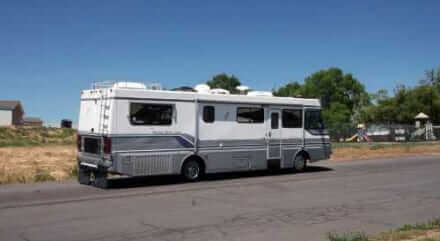 If you are looking for RV Shipping | RV Transport Services we have the best drivers and the best prices. RV Transport Services Near Me? Best RV Transport | RV Shipping Company in the US. Motor homes are driven able. 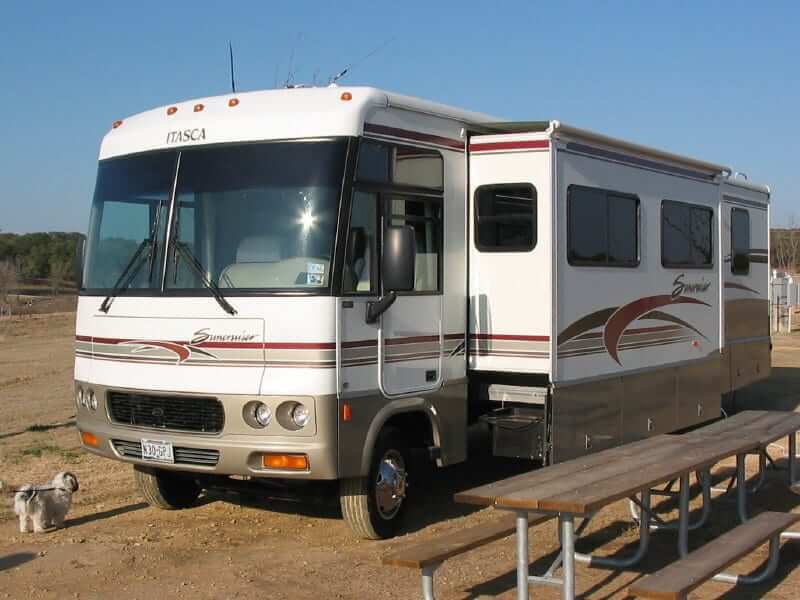 The cheapest way for transporting RVs such as a motor home is a drive-a- away service, where we get our license and insured drivers to fly out to your destination and drive them back. The downfall is the wear and tear on the motor home and the miles. RV Transport Services. The other option for transporting RVs is going on a step deck or lowboy with loading ramps, basically a flatbed but stronger. Then you have the Fifth Wheels which have the long neck on the front. One thing to keep in mind about Fifth Wheel hauling is that A Fifth Wheel is typically larger than the standard RV and cannot be pulled by any truck. A standard rule for RV shipping or RV Transport is that the truck must have an attachable fifth wheel in the bed of the truck to hook up. This usually goes for $2.00 to $2.50 a mile depending on your pick up location, drop off location and the size. The standard RV is the ball and hitches “bumper pool” which can hook up to any powerful 4/4 truck. This goes for $1.75 and up, depending on the location and size. Your RV must be roadworthy for transport. Tires are the responsibility of the owner. Remember any time that you are calling for a quote for an RV Transport, please have all dimensions, including weight ready. All of our carriers are licensed, insured and bonded, with a background check for the past three years. When comes to RV shipping, we pride ourselves in a friendly door to door delivery. Your driver is required to provide you with a cell phone number for easy communication throughout the process of transporting RV. Give us a call today and speak with one of our specialist in RV Transport Service who will make sure your RV is transported safely and in a reasonable time frame. If you are an RV dealer and are looking for a reputable company to handle all of your oversized transportation needs we do have a dealer and repeat customer discounts to help bring down cost. Are you looking for an RV Transport services? We Will Transport It, the Best RV Transport Company in the U.S.
Best RV Shipping Company in the US. We Will Transports It, Inc. has a wealth of experience in transporting RVs of all kinds and pull many different hitch types, such as a fifth wheel, goosenecks, pintle hooks, and various ball hitches. We can transport units up to 8’6″ wide, 13’6” high and 43’ length. Larger units will require permits and these costs will be figured into your quote. The other option for transporting RVs is going on a step deck or lowboy with loading ramps, basically a flatbed but stronger. Then you have the Fifth Wheels which have the long neck on the front. One thing to keep in mind about Fifth Wheel hauling is that A Fifth Wheel is typically larger than the standard RV and cannot be pulled by any truck. A standard rule for RV shipping is that the truck must have an attachable fifth wheel in the bed of the truck to hook up. This usually goes for $2.00 to $2.50 a mile depending on your pick up location, drop off location and the size. The standard RV is the ball and hitches “bumper pool” which can hook up to any powerful 4/4 truck. This goes for $1.75 and up, depending on the location and size. Your RV must be roadworthy for transport. Tires are the responsibility of the owner. ARE YOU NEEDING RV SHIPPING?